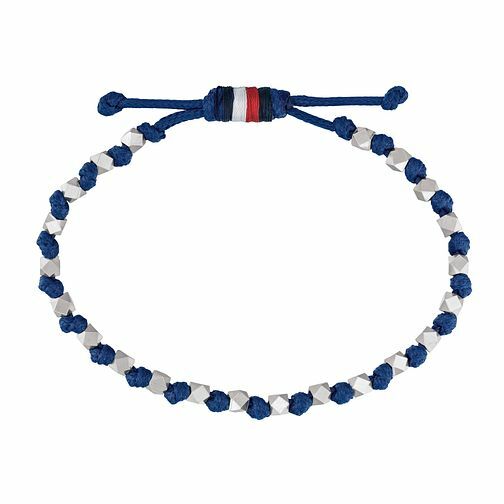 A cool and contemporary men’s beaded bracelet from Tommy Hilfiger. Featuring stainless steel matte metal beads, blue coated leather thread wrap and barrel pull closure with Tommy flag thread. The inner circumference measures at 19cm.